When it comes to designer perfumes, Bvlgari is one of my personal favorite and “most worn” brands. They are typically what I wear when I want to smell good but not think about what I’m wearing. They smell pretty but in a really approachable, non-intimidating way. I’m not going to say that the brand is remarkable (even though I think they have some remarkable perfumes such as Black and the original Omnia), but I think they are a solid, reliable designer perfume house. This year, they launched a perfume in a gorgeous red bottle. (I’m such a sucker for anything red). Plus, I have a good record with Bvlgari. 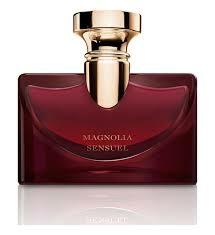 Splendida Magnolia Sensuel was something I knew I had to try. Splendida Magnolia Sensuel opens with lemon zest, cedar shavings and a generic powdery floralness. As it settles, it becomes a milky, slightly metallic magnolia. It’s heady but has a sharpness from crushed greens and lemons. This heart is a gorgeous magnolia. It manages to balance the two themes that are present in so many magnolia perfumes. One aspect is that it is green, citrus-y, dewy and fresh (like that of Malle Eau de Magnolia). The other aspect is that it is milky, heady and humid (like the abstract florals in things like Narciso Rodriguez Narciso). Together, all of the magnolia bases are covered. As the fragrance dries down, there is a lot of white musk and vanilla-scented talcum powder. I’m less excited about this base, but it is pretty, even though it’s rather monotone. I wouldn’t call Splendida Mangolia Sensuel a perfect magnolia fragrance, but it’s a really good one. Like so many of the other Bvlgari perfumes, there’s an elegance to this one that makes it come across a lot more expensive than it actually is. Give Splendida Magnolia Sensuel a try if you like white florals, especially those with magnolia or jasmine perfumes. Or perfumes like Narciso Rodriguez NARCISO, Floraïku Cricket Song, Ormonde Jayne White Gold, Bvlgari Irina and/or Parfums delRae Coup de Foudre. The 3.4 oz retails for $146 at Saks. Victoria’s Final EauPINION – Milky magnolia. Splendida Magnolia Sensuel did not disappoint. Plus, the bottle is red so I want it. (However, I typically wait to buy Bvlgari from discounters because I’m cheap like that. But, I haven’t seen this one at discounters as of yet). *Sample obtained by me. Product pic from the brand. 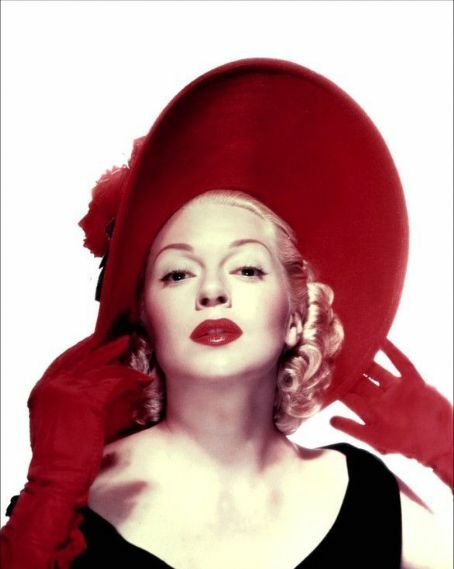 Lana Turner pic from ivannature.blogspot.it. Post contains an affiliate link. Thanks! This sounds really nice, and the red bottle is beautiful. As I read your opening paragraph, I realize how little I’ve tried of Bvlgari. I haven’t even tried Omnia! They’re just a brand that I never seeked out. I do enjoy Black, though more so on my boyfriend than me. And I love Jasmin Noir because it reminds me of my grandma and is just a comforting perfume. Also, this review made me remember that my FM Eau de Magnolia spray is broken, and I need to figure out how to break the bottle and transfer the perfume to another bottle without making a mess. I had only worn from it two or three times before the sprayer seized up. So sad. I swapped for it years ago, so I don’t know if I should reach out to FM about it. I have heard of another person’S EdM sprayer stop working on one of these, so it sounds like it’s a thing. I don’t think the brand is the “best” but I really like how they smell on me and how they’re so easy to wear. For me, it’s like sometimes I just want to smell pretty and not think about it. Bvlgari is the brand for me. I like their tea scents, the florals and weirder stuff like Black. They also had Bly Notte which I sadly slept on and regret doing that now that I can’t get it.